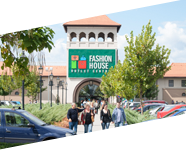 Izabela Jaworska-Piątkowska, Lead Facility Manager at three FASHION HOUSE Outlet Centres in Poland, has won the FM & PM AWARD 2013 in the category of ‘Facility Manager of the Year’. The results of the contest were announced on April 25, during the gala which closed the 9th FM & PM Forum held in Warsaw. 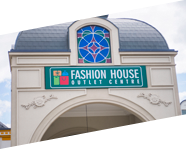 Izabela Jaworska-Piątkowska has been working for FASHION HOUSE Outlet Centres since 2007. 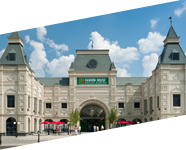 She participated in development of the 2nd phase of FASHION HOUSE Outlet Centre Gdansk. 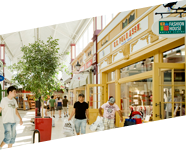 In 2010, the project won the CEE Retail Real Estate Award in the category of ‘Outlet centre of the year’, and in 2011, achieved the 3rd place in the contest organized by the Polish Association of Retail Tenants in the category of ‘Best managed shopping centre in Poland’. Izabela Jaworska-Piątkowska also created energy saving procedures for all of the existing FASHION HOUSE centres in Poland. What is more, in 2012, she carried out the first LED parking lighting project at a Polish shopping center, at the parking of FASHION HOUSE Outlet Centre Gdansk. She is also the author of practical trainings for tenants and publications concerning property management.